The producer rapper straight out of Durban South Africa known by his fans as Prinston, is really an artist to be reckoned with. Having spent some time in the USA Florida and returning last year, he's t aking his music to new heights with a constant grind from producing ninety percent of his album to writing, rapping and singing his own hooks. He first created some noise back home with his street single "Let's glay" which was a huge hit in the clubs in Durban. He's built up his own image and is constantly branding himself wherever he goes. Having done gigs in Florida USA, Durban and Johannesburg, Splashyfen festivals 2003,2004,2005, Prinston has also opened up for Murder Inc’s top seller Ja Rule on the Durban leg of his tour in 2003 while being part of rap duo Juvenile 031. 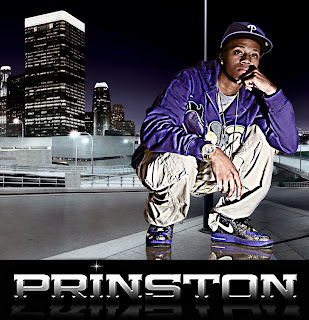 Prinston was also opening act for Jay Sean from Cash Money this year 2010 and has recently performed at the Annual Hip Hop Indaba 2010 in Cape Town. His hit single “CLOSER”, off his debut album “Bedroom dreams” is receiving massive airplay on many radio stations in South Africa including Metrofm, Yfm, Goodhope, ECR, Jozifm, Trufm, Kfm, Heart fm, Redcap and other local radio stations. He was recently interviewed on tv shows like Etv’s Showbiz Report, Seskhona on Sabc1 and also has done a performance on Sabc 1 show called LIVE. The music video shot on Florida for his single CLOSER has recently been added to playlist on Cape Town Television, Music lounge on Sabc1, Live on Sabc1, MTVbase, Channel O and Vusic on Vuzu tv. The album has just been released nationwide to all major music retailers through Glayboy Music Group and Electromode. The album is a smooth blend of hip hop mixed with rnb vocals. His 2nd single BAD BOY is also heating up the airwaves. He is endorsed by Ecko Unltd. Prinston really knows how to move a crowd so catch him at one of his shows to see for yourself.